Defending champions Mumbai Indians and two-time winners Chennai Super Kings (CSK), the most successful teams of the Indian Premier League (IPL), will begin the 11th edition of the Twenty20 cricket tournament with a mouthwatering clash at the Wankhede Stadium on Saturday. Hosts Mumbai, who have laid their hands on the coveted crown thrice (2013, 2015, 2017), will be led by India opener Rohit Sharma who is the most successful captain in the cash-rich T20 league having led Mumbai to a treble of titles. But on Saturday, his wards will be up against a team who will be eager to re-establish their dominance after returning to the tournament following a two-year ban. Chennai are led by India's 50-over and T20 World Cup winning captain Mahendra Singh Dhoni, who will himself have a point to prove in his twilight days. The southern outfit has a formidable batting and bowling line-up with the likes of Suresh Raina, back in the CSK yellow jersey, South Africa captain Faf du Plessis adding teeth to their batting. In the bowling department, England pacer Mark Wood and South Africa fast bowler Lungi Ngidi will lead the pace battery with veteran offie Harbhajan Singh and celebrated South African leg-spinner Imran Tahir taking care of the spin unit. For Mumbai, apart from Rohit, all-rounder Hardik Pandya, fast bowler Jasprit Bumrah, West Indies star Kieron Pollard and Krunal Pandya have been retained from last year and are all a force to reckon with. The Mumbai pace bowling department is also promising this year with the likes of Bumrah, Pat Cummins and Mustafizur Rahman. Kings XI Punjab and Delhi Daredevils will both look to end their trophy drought in the Indian Premier League (IPL) by getting off to a winning start when they clash in Mohali on Sunday. This edition will miss the presence of star Australian players Steve Smith and David Warner who are serving a one-year ban due to the ball tampering incident in South Africa. While Smith has been replaced by Ajinkya Rahane at Rajasthan Royals, New Zealand captain Kane Williamson will lead Sunrisers Hyderabad in place of Warner. 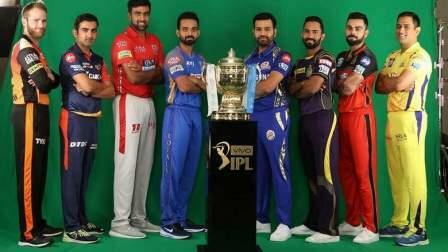 This edition of the IPL will see seven Indians captaining their franchises, barring Hyderabad. Virat Kohli, Rohit, Dinesh Karthik, Rahane, Gautam Gambhir and Ravichandran Ashwin will fight against each other to grab the top prize. Coming to other teams, Royal Challengers Bangalore (RCB), led by India skipper Kohli, will again hold the aces owing to their team strength. Aiming to break their final jinx, RCB have what it takes to lift the trophy once again. Besides the run machine that is Kohli, the Bengaluru team boasts of players of the ilk of swashbuckling batsman AB de Villiers and promising player Sarfaraz Khan who were retained. The franchise bought as many as 21 players in the auction, among them Chris Woakes (Rs7.4 crore), the most expensive purchase of the franchise. The others includes New Zealand wicketkeeper-batsman Brendon McCullum and South Africa's stumper Quinton De Kock, as also keeper Parthiv Patel, Mandeep Singh and Manan Vohra. Besides Woakes, their bowling has wrist-spinner Yuzvendra Chahal, Washington Sundar in the spin front and Umesh Yadav, Mohammed Siraj leading the pace attack. England's Moeen Ali and Kiwi Colin De Grandhomme are seasoned all-rounders too. Their first match is against two-time winners Kolkata Knight Riders (KKR) who will be led by Dinesh Karthik this time. KKR do not boast of a very strong side on paper with star Aussie pacer Mitchell Starc being ruled out with injury. Gautam Gambhir, who led KKR to two titles (2012, 2014) will be leading Delhi Daredevils this time, and the for perennial underachievers will be looking to shine under him. In the last five seasons, Delhi finished at the bottom of the points table. In 2013, they finished ninth, in 2014 eighth, in 2015 seventh, in 2016 sixth and in 2017 sixth. Last but not the least, Kings XI Punjab under Ashwin have a good-looking team on paper. Out of white-ball cricket, Ashwin will have a point to prove while his team will hope to ride on veterans Yuvraj Singh, Chris Gayle, David Miller, Aaron Finch, Marcus Stoinis, and Mayank Agarwal to guide them to an elusive title. The Punjab-based franchise managed to reach the top four only on a couple of occasions. They finished third in the inaugural edition and then came agonisingly close to winning the title in 2014 but were denied by Kolkata Knight Riders. When and where to watch IPL? IPL 2018 opening ceremony is scheduled on Saturday, April 7, 2018. It will be held at Mumbai's Wankhede Stadium. The opening ceremony will begin at 6:15pm (IST). The live coverage will start at 5:00pm on Star Sports Network. Which TV channels will broadcast IPL opening ceremony? It will be broadcast on Star Sports 1, Star Sports 1 HD, Star Sports Select 1 and Star Sports Select 1 HD in English Commentary. Matches with Hindi commentary will be aired on Star Sports 1 Hindi and Star Sports 1 Hindi HD. How to watch online live streaming of opening ceremony? The live streaming will be available on Hotstar and Jio. You can also catch live action, live updates and live commentary (IPL?2018).